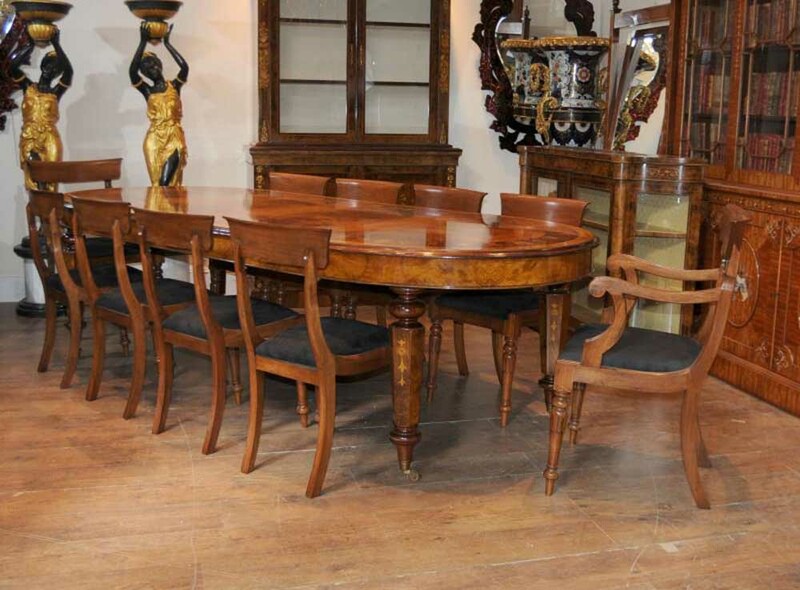 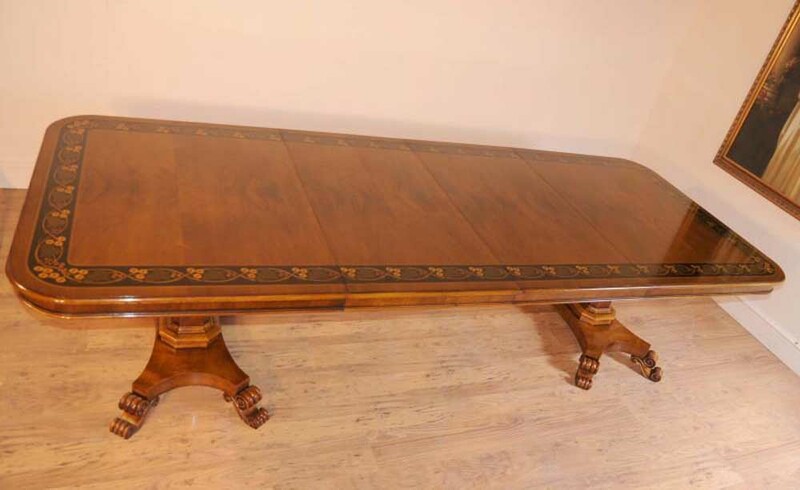 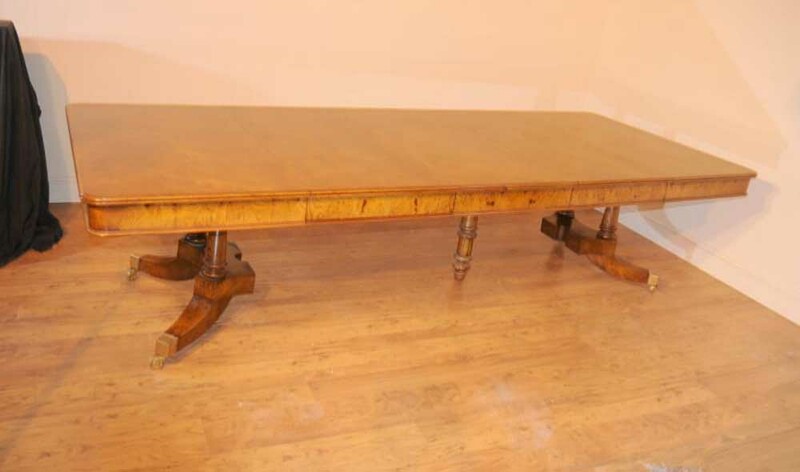 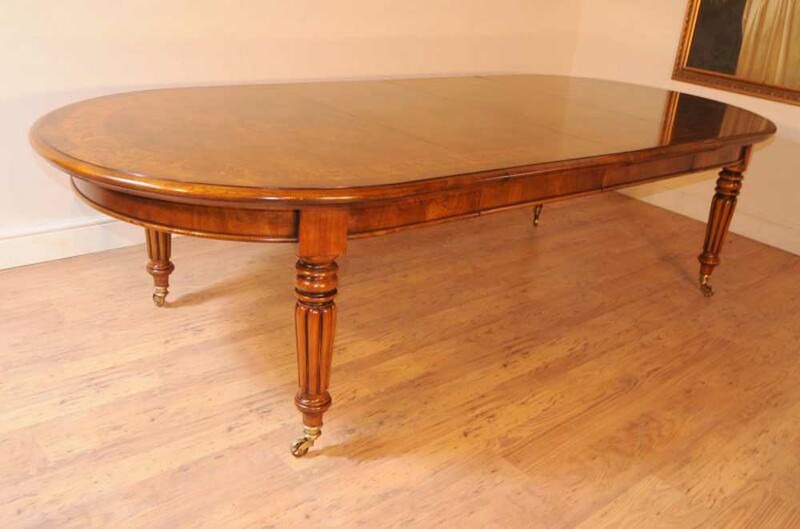 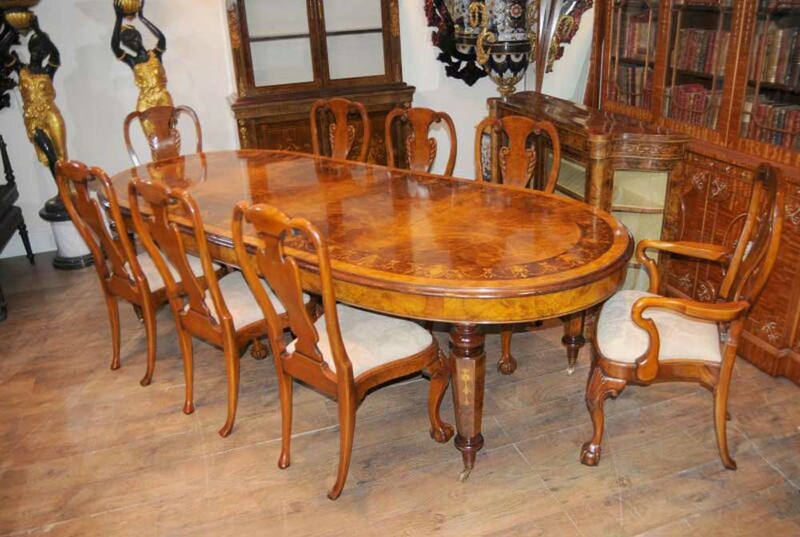 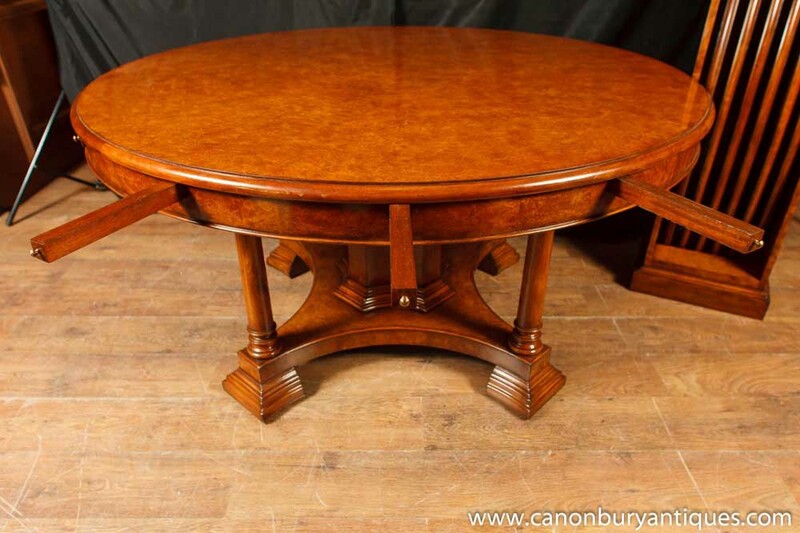 – Chairs pictured are not included but are available, let us know if you are looking for a complete dining set..
You are viewing a gorgeous English walnut Georgian pedestal table that measures ten feet when fully extended. 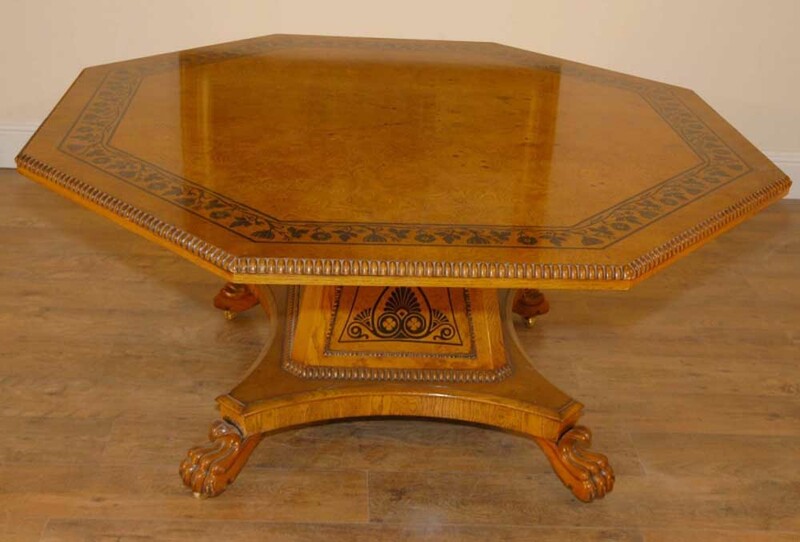 I hope the photos do this classic piece of furniture some justice, it’s certainly more impressive in the flesh. 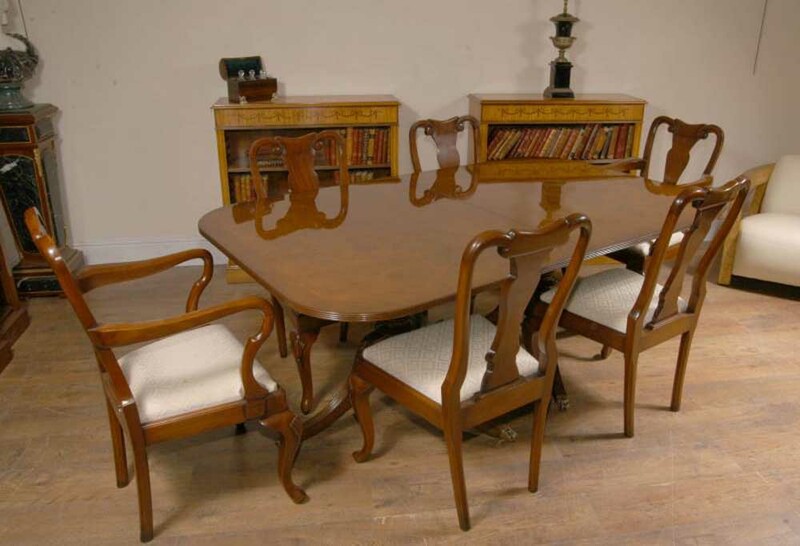 We have also included it pictured with a set of matching walnut Queen Anne dining chairs we have available – so please let us know if you are looking for a set and we can work out a great deal for you.